Volumizes skin density to add youthful plumpness to brow bone and surrounding area. 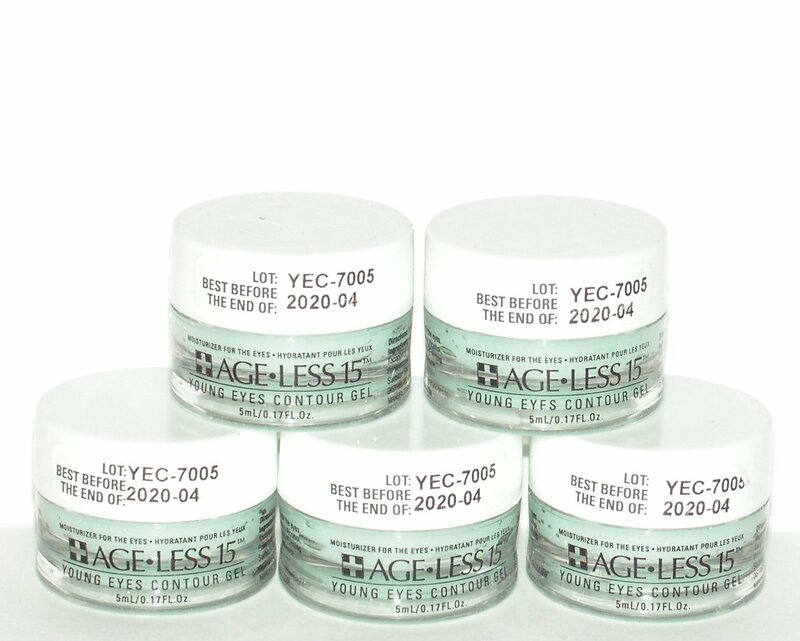 Helps eye-area regain elasticity to reduce the appearance of droopy, tired, older looking eyes. Glides on smoothly and penetrates quickly. Non-greasy, silky smooth base, perfect for eye makeup. Significantly reduces wrinkle depth and density around the eyes in a period of 6 months. Apply over Age Less 15 Serum for a totally youthful appearance. 5 Travel Size: 5 ml / 0.17 oz.